We understand that in a military family “kids serve too” and we want to invite children of veterans and service members in our community to join us for a 4-day intensive horsemanship program designed just for military children. This program takes horse-inspired insights into fostering creativity, developing assertiveness, dealing with conflict, heightening mind-body awareness & balance, and making lasting connections with horses and each other … all while having a ton of fun! The bond participants develop with their horses provides a low-key and trusting environment in which they can choose to share their experiences of parents being deployed, or returning from deployment. All our participants and many parents comment on how important it was that everyone in the program “was in the same boat,” with shared experiences and shared emotions; something that is not the case in educational settings. The true cost of this program has been underwritten by the Chamber of Commerce of Eastern Connecticut Foundation, the Edward and Mary Lord Foundation and the Thompson Family Foundation. July 12, 2019 or when full. Places limited to 8 per session. To register please complete the online application below or download these forms and send them to Megan Ellis VetKids Full Participant Packet. In line with our inclusion and anti-discrimination policies, the collection of ethnicity data is voluntary. If you wish not yo answer please choose the "prefer not to answer" option. The cost of this four-day program is $100. High Hopes is able to offer this significantly reduced rate due to the generosity of our sponsors such as the Edward and Mary J Lord Foundation. 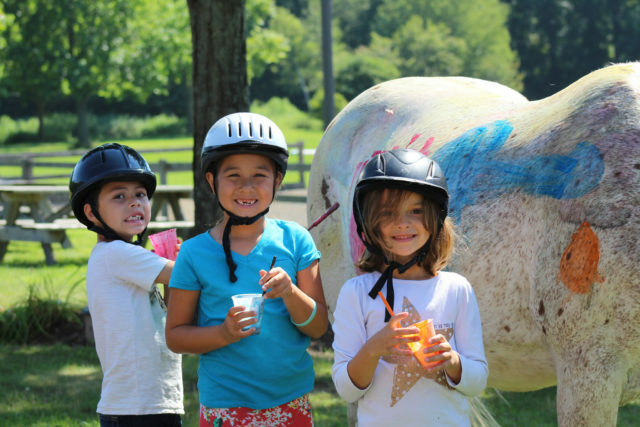 The cost of our Horse Sense Program is $250 which reflects a significant discount on the normal camp price due to the generosity of our sponsors: Dominion Energy, Eversource Energy, The Community Foundation of Eastern CT and The Wireless Zone Foundation. WK 1 - $400 • June 24 - June 27, 2019 • Mon - Thurs • 9am - 1pm • Designed as an introductory session for ages 3-6 years. This is a great way for younger children to learn the basics of horse care and build riding skills in a fun and safe environment. 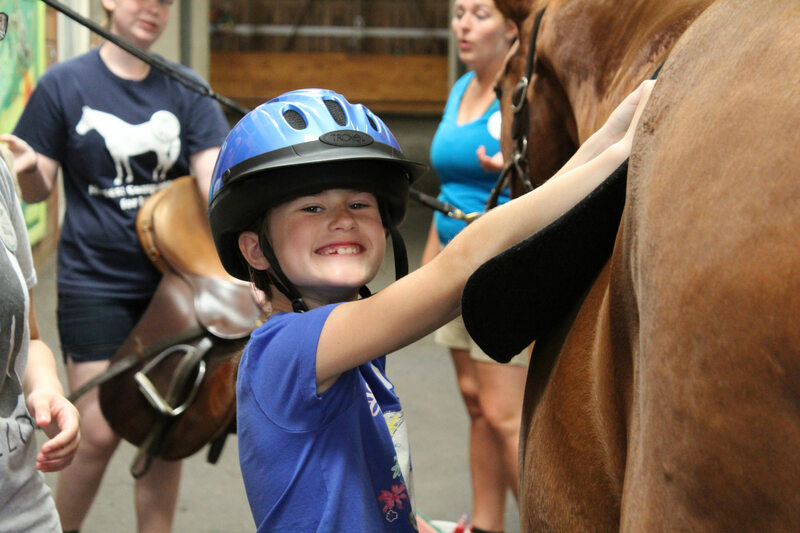 WK 2 - $400 • July 8 - July 11, 2019 • Mon - Thurs • 9am - 1pm • Designed for children, ages 7-12 years, as an introduction to horses, their care, riding, gymnastics on horseback, and carriage driving. 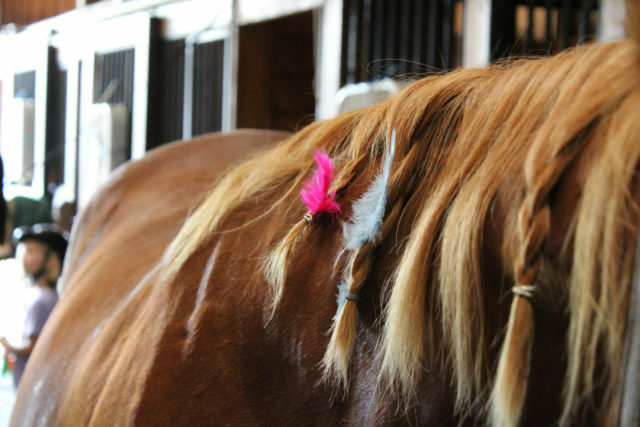 WK 3 - $400 • July 15 - July 18, 2019 • Mon - Thurs • 9am - 1pm • Designed as an introductory session for ages 4-12 years as an introduction to horses, their care, riding, gymnastics on horseback, and carriage driving. WK 4 $400 • July 22 - July 25, 2019 • Mon - Thurs • 9am - 1pm • Designed as an introductory session for ages 3-6 years. This is a great way for younger children to learn the basics of horse care and build riding skills in a fun and safe environment. 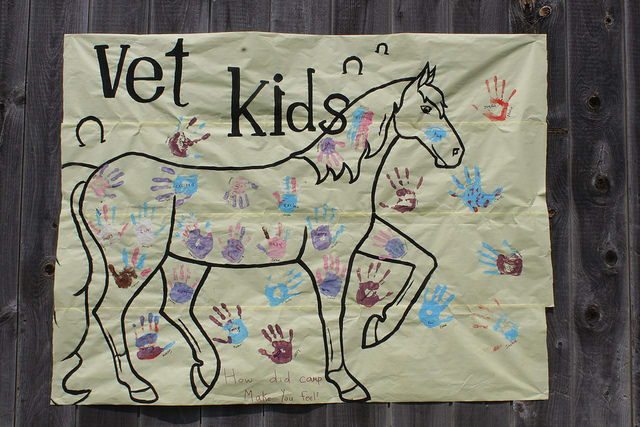 WK 5 $400 • July 29 - Aug 1, 2019 • Mon - Thurs • 9am - 1pm • Designed for children, 7-12 years as an introduction to horses, their care, riding, gymnastics on horseback, and carriage driving. Please select any that apply. Also, if your first choice is filled and you would like to be considered for alternative sessions, please indicate below. 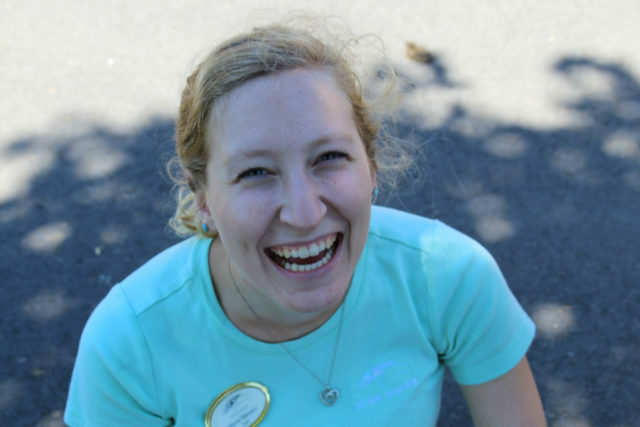 High Hopes Summer Camp is licensed through the State of Connecticut which required written authorization from a physician and a parent or legal guardian to campers needing medication during camp hours. This include but it not limited to epi-pens, inhaler, oral and topical medication. At your request we will provide a copy of our medication administration policy and form or refer you to our website to download a copy. I agree to all camp policies. I have read and agree to High Hopes' camp policies which are available for download at the top of this page. AUTHORIZATION FOR EMERGENCY MEDICAL TREATMENT: In the event emergency medical aid/treatment is required due to illness or injury while being on the property of the agency, I authorize High Hopes to secure and retain medical treatment and transport, if needed, and release records upon request to the authorized individual or agency involved in emergency medical treatment. PHOTO VIDEO & PUBLICITY RELEASE High Hopes takes the privacy of our participants, their families, volunteers, visitors and staff seriously. At the same time we value the use of real images in the promotional and reporting activities which enable us to provide subsidized therapeutic activities. By engaging in activities at High Hopes Therapeutic Riding, Inc. I understand that I/my child/my ward may be photographed, filmed, or videotaped and I hereby give High Hopes Therapeutic Riding, Inc. the unqualified right to take pictures and/or recordings of me/my child/my ward and grant the perpetual right to use that likeness, video, image, photograph (collectively "image"), without compensation, for broadcast or exhibition in any medium and to put the finished images/recordings to any legitimate use without limitation or reservation. I hereby waive, release and forever discharge High Hopes Therapeutic Riding, Inc. from and against any and all claims or actions arising out of, or resulting from any use of your image. High Hopes Therapeutic Riding, Inc. shall not be obligated to use, and may elect not to use, any image. CONFIDENTIALITY POLICY: At High Hopes, we place great importance on protecting the confidential information of our clients, our staff and our volunteers. “Confidential information” includes, but is not limited to, personally identifiable information such as surnames, telephone numbers, addresses, e-mails, etc. as well as the non-public business records of High Hopes. In particular, medical information about clients and information about their disabilities or special needs must be protected as confidential information. I shall never disclose confidential information to anyone other than High Hopes staff. I must seek staff permission before taking any pictures or videos. I have read and understand the High Hopes Confidentiality Policy and agree to abide by same. (Name) would like to participate in the High Hopes Therapeutic Riding Inc. program. I acknowledge the risks and potential for risks of horseback riding and related equine activities, including grievous bodily harm. However, I feel that the possible benefits to myself/my child/my ward are greater than the risk assumed. I hereby, intending to be legally bound for myself, my heirs and assigns, executors, and administrators, waive and release forever all claims for damages against High Hopes Therapeutic Riding, Inc., its Board of Directors, Instructors, Therapists, Aides, Volunteers, and/or Employees for any and all injuries and/or losses I/my child/my ward may sustain while participating in the Program from whatever cause including but not limited to the negligence of these released parties. The undersigned acknowledges that he/she has read this Registration and Release Form in its entirety; that he/she understands the terms of this release and has signed this release voluntarily and with full knowledge of the effects thereof. YES, I want my above named child to be administered KI by High Hopes when: The Governor declares a nuclear emergency, AND individuals in specified area, that includes this child care facility/youth camp, are advised by the Emergency Alert System (AES) to take the Potassium Iodide (KI) tablets AND I understand that the ingestion of Potassium Iodide (KI) under these circumstances is voluntary. NO , I do NOT want my above named child to be given Potassium Iodide (KI) by High Hopes in the event of a nuclear emergency. I have been advised in writing by the facility about the contraindications and the potential side effects of taking Potassium Iodide. I understand that it is my responsibility to notify High Hopes in writing if I desire to change my authorization as indicated above. Thank you for completing our Summer Camp Registration! You will now be redirected back to the camp application confirmation page. Please download the physician's form and the correct payment form for your camp. Have your physician complete and return the physician's form. Please send the payment form to High Hopes together with your check.